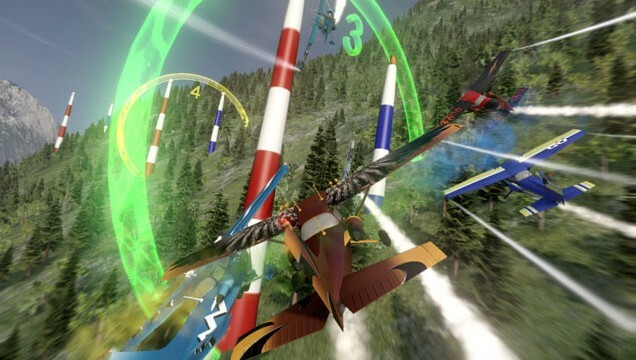 We’d like to finally announce a closed beta testing of Altitude0: Lower & Faster. Altitude0 is an upcoming arcade plane racing game for Windows PC, flying close to the ground between gates as fast as you can. Altitude0 is an online plane racing game therefore we will ask you to create an online account and share results with other players online. Your computer should have decent graphics card (NVidia or AMD). Currently graphics cannot be cut down much for lower end machines, will be fixed in the future. You like racing games (planes, cars, carts, we like them all). 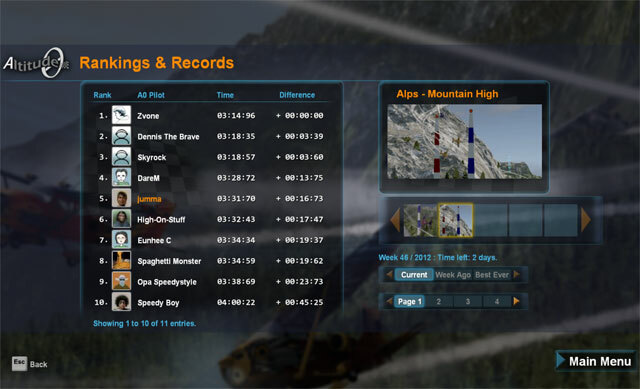 The main goal of Altitude0 first beta version is to achieve best possible times on different tracks and share results online with other players. Each race result is recorded and replay is shared with other players online. Game will show best player results of each week and also best ever charts. Closed beta version should be ready by 22nd of November (Thanksgiving Day for our US friends). The reason we are announcing it in advance is that honestly we don’t know how many people are willing to participate in the testing and how our servers will handle all the data. So in the beginning, we will start with a limited number of players and gradually open the game to more players if everything goes OK. If you have something to talk about the game or comment, currently you can visit our facebook site (http://www.facebook.com/altitude0) and post a message. Or send us a direct email (info@altitude0.com). We also welcome and accept your top-notch ideas & suggestions to make the game better.